Credit Report vs. Credit Score: What’s the Difference? Most of us know that having good credit is important. Your poor credit can cost you thousands of dollars over your lifetime if you aren’t careful. When people refer to “your credit”, they are referring to your financial reputation. And they can be referring to either your credit report or your credit score. It is important to understand that your credit report and your credit score are two different things. You should know the difference between the two if you expect to be a more informed consumer. You can get your FREE credit report and score along with free monthly monitoring other free financial tools. A credit report is a compilation of your credit accounts, and your history with those accounts. Your credit report lists each account, when it was opened, how much you owe, credit limit (if applicable), and whether you are up to date on your payments. If you are late, your credit report will have a record of it. With credit card accounts, it is common to see each month’s payment history for 12 to 36 months. If an account is closed, it might list whether the creditor closed it, or whether you requested that the account be closed. Other information on your credit report includes inquiries, your name and address, aliases, and a number that identifies you (you can opt to have some of the numbers of your Social Insurance Number or your Social Security Number blacked out). Sometimes, your credit report also includes past employers. 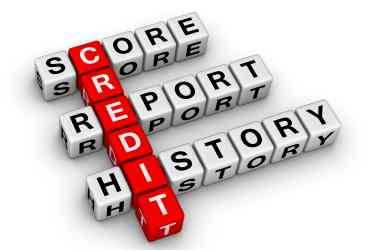 A credit report is a detailed history of the way you have used credit in the past. When a lender, or some other financial services provider, looks at your credit report, he or she can get a pretty good idea of your habits, and what you have been doing with your finances, and whether or not you might be responsible with your money. Whether or not you have payday loans, the fact that you pay on time each month, and the number of accounts you have are all used by others to form judgments about you, and your ability to meet your obligations. Your credit report can also be used by others to make decisions about you. Abbreviated versions of your credit report might be used by insurers, or even employers, to make decisions about you. While a credit report is a detailed compilation of your entire credit history, your credit score is just a number. The credit scoring system attempts to reduce your entire credit history down to a three-digit number. And, even though a credit score isn’t very detailed, it is presumed to say a lot about you — enough that some decisions about you, and judgments about your financial abilities, are made based on this number. Your credit score is created using information in your credit report. You actually have different credit scores, depending on which credit report the score is based on. A major credit score, like the FICO, is created using information from multiple reports. What’s important to remember, though, is that the information for your score comes right from your credit report. There are fine shadings, and weightings within the broader categories. However, the important thing to remember is that your score is a representation of your entire credit history, and your credit report is the detailed description. I wasn’t aware that inquiries were such an important factor in influencing your credit score. I guess its logical really. If you are in financial difficulty you are probably going to make more enquiries for a loan and the chances are that you have probably been turned down for a loan before. Thus the negative impact on your credit score of all these applications just snowballs. This is a good distinction for people to know, and one that is frequently not understood.